The city of Arroyo Grande is eyeing a new state grant program that could provide funds to help the city's homeless. But first, members of the City Council had to officially acknowledge a problem they'd long known about: The lack of shelters. On Sept. 25, the council voted 4-0, with Councilmember Tim Brown absent, to declare a homeless shelter crisis in the city. Doing so will help make the city eligible for a state grant program funding homeless services to California cities and counties. "Whether we declare a crisis or not, we do have a crisis," Councilmember Kristen Barneich said. 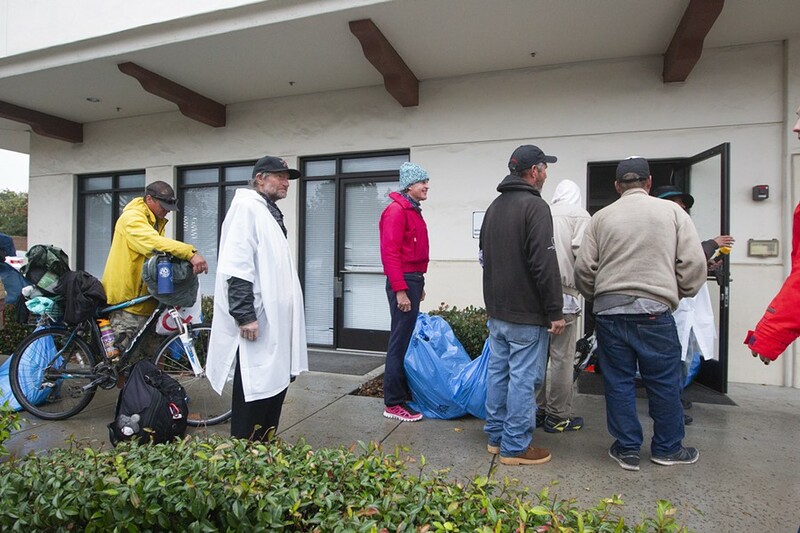 CRISIS The city of Arroyo Grande declared a homeless shelter emergency Sept. 25. The declaration will make the city eligible to receive funding through a new state grant program. Declaring the crisis will make it easier for the city to obtain block grant funding from the Homeless Emergency Aid Program (HEAP). The program, signed into law by Gov. Jerry Brown in June, will provide $500 million in block grants to help cities and counties address homelessness. That funding can be used to fund outreach and education, criminal justice diversion, temporary housing, rental assistance, and other long- and short-term services for the homeless population. According to City Manager Jim Bergman, SLO County could receive up $4.8 million. Declaring a shelter crisis would allow the city to come up with its own programs and directly receive some of that money. "The city will get the most broad flexibility to spend that money within the city limits if we declare a shelter crisis," he said. Janna Nichols, executive director for the 5 Cities Homeless Coalition, urged the council to declare the shelter crisis. She said it would allow the city to have an active role in determining how the money would be allocated. "This isn't going to solve everything, so where do we get the biggest bang for the biggest buck," she said. According to SLO County's 2017 homeless census, Arroyo Grande reported a total of 94 homeless persons in the city. The city does not have a homeless shelter, nor do neighboring Pismo Beach, Grover Beach, Oceano, and Nipomo. According to the 2017 census, South SLO County reported a population of 411 homeless individuals last year, coming in second only to SLO City for its total homeless population.